With a growth rate of 7.7%, ESET increased its share of the global Endpoint Security Software market in 2014 to 4.6%, up from 4.4% the previous year. The market as a whole grew by 2.6%, with total revenues among all vendors reaching $9.0 billion, according to the IDC “Worldwide Endpoint Security Market Shares, 2014” (doc #US40546915, December 2015) report. According to IDC, growth in the global consumer market’s growth slowed down in 2014, mainly due to declining shipments of PCs. Despite the consumer market growing by only 1%, ESET managed to grow by 9.4% in this segment, the second highest rate among the top 10 vendors. Also in the corporate segment, ESET posted healthy growth of 6.4% in 2014, increasing its market share by 0.1 percentage point’s year-on-year, to 5.4%. “We are proud of our record of growth that has placed up us among the top 5 vendors in the global endpoint security market. Our growth is organic and there is a huge amount of hard work behind it. We thank to our partners and customers and promise to keep on doing our best to allow businesses and consumers in more than 180 countries to make the most of the digital world“, said Ignacio Sbampato, Chief Sales and Marketing Officer at ESET. 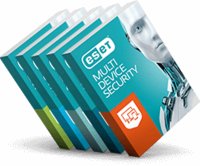 ESET’s success is based on its security products*, which deliver outstanding detection rates**, minimum-to-no false alarms, low system footprint*** as well as the highest security**** and which receive consistently excellent independent reviews*****. ESET’s business security products offer maximum proactive protection with low impact on company infrastructure, fully manageable via the new ESET Remote Administrator. ESET Endpoint Security solutions now include a wealth of new features, such as Botnet Protection, Exploit Blocker and Vulnerability Shield. A key innovation in ESET’s flagship consumer product, ESET Smart Security 9, is the Banking & Payment Protection, which secures users’ personal and financial data. * ESET is the only vendor to neither miss nor fail a single VB100 test since June 2003** ESET detection returned no false alarms in the latest False Alarm Test by AV-Comparatives. *** ESET was found to be the second lightest security product in Pass Mark’s Consumer Security Products Performance Benchmarks (Edition 2, 2015/11), behind Norton Security by Symantec. Symantec Corporation funded the production of that report, selected the test metrics and list of products to include in the report, and supplied some of the test scripts used for the tests. **** ESET is the only vendor that reached 100% in both 2014 and 2015 Self-Protection test by AV-TEST. ***** AV-Comparatives, an independent testing organization called ESET’s business products outstanding in its annual IT Security Suites for Small Businesses Review.